Where are these famous bridges? The most famous of these bridges is the Pont des Arts, located in the 1st and 6th districts of Paris, overlooking the Seine, connecting the Institut de France (French Academy, Academy of Sciences, Academy of Fine Arts, Academy of Moral and Political Sciences and Academy of Inscriptions and Belles-Lettres for those like me who do not know EVERYTHING that it could be) to the Square Courtyard of the Louvre. 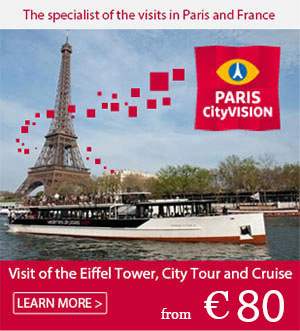 The bridge is accessible from the “Louvre-Rivoli” underground station. For a little more than five years now, lovers passing over the bridge have been accustomed to sealing their love by hanging a padlock along with an engraved message (names, important day for the couple, initials, etc.). and throwing the key into the river. 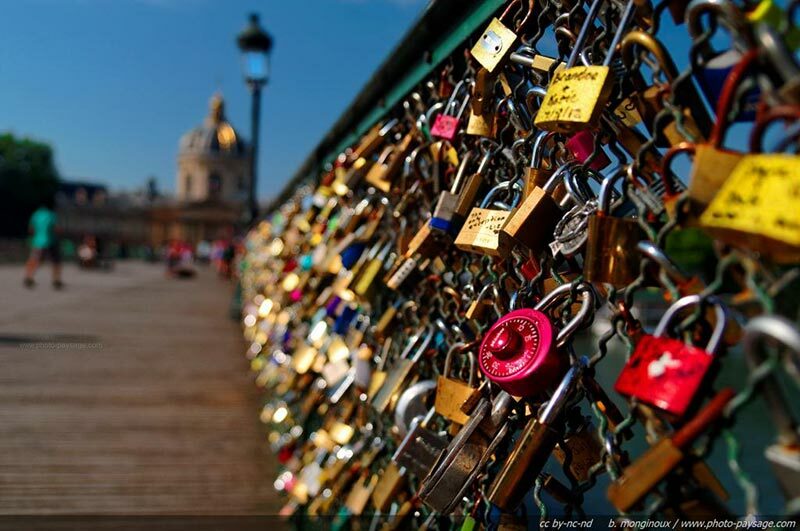 The phenomenon of love locks has spread to other bridges but on a smaller scale. They can also be found clinging to the parapets of the Léopold Sédar Senghor footbridge in the 7th district, accessible from the “Solférino” underground station. There is also a bridge dedicated to love in the 4th district: the Pont de l’Archevêché, also crossing the Seine, accessible from the “Maubert – Mutualité” underground station. The last bridge of love (last until when?) is the Simone-de-Beauvoir bridge, located in the 12th and 13th districts. It is reached by the “Quai de la gare” underground station. Pont des Arts is still the most famous of all these bridges, which is also very pleasant to visit when the warm weather arrives. It has become THE meeting place between people from different backgrounds who go there to visit, have a drink or just talk, where all Paris has gone at least once.